Since a young age Jonathan Reimer has always had a passion for serving people and having an eye for quality and detail. With his family roots coming from Germany, Jonathan has always had a knack for finding that next experience with unique quality beer. If the brewer’s gene was a real thing, it definitely would be in Jon’s family blood line. Growing up in Wisconsin his entire life led to high expectations for beers, food, quality, and service. At a young age Jonathan saturated himself with his family and Wisconsin based German heritage. Coming from a family of hard workers and leaders, Jonathan found himself wanting to start his own business at the young age of ten years old. In 2006, Jonathan brewed his first beer in a garage with two friends. From that point forward, Jonathan was inspired from the whole brewing process and science that he know he wanted to open his own brewery someday. Jonathan then branched out on his own and took the brewing to whole other level. He always wanted the next challenge or to find the next newest thing in the brewing world. 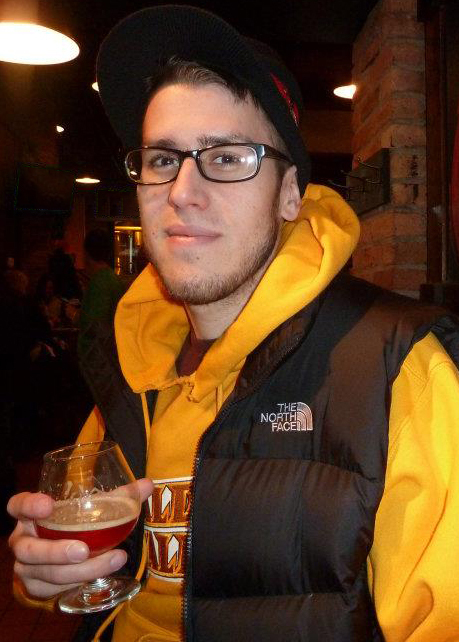 Jonathan has been practicing and performing beer tastings since 2009. He has also been a beer tasting judge at numerous events and has been a member of the Illinois Craft Brewer’s Guild since 2012. In 2010 Jonathan got married and moved to Chicago to start his new endeavors. Jonathan searched for years to find a partner he could trust and a partner who had the same vision and goals and high expectations he did. In 2012, he ran into Zigmas Maloni and taught him the basics to brewing. Jonathan and Zigmas have been brewing together since then, creating over 30 different high quality recipes. The pair have applied Jonathan’s college marketing education and Zigmas’s design and administration background to the Southbridge Brewery brand. Jonathan simply has a knack to see things that others do not and has a high attention to detail. He also is extremely competitive and does not settle for anything less than the best. With Zigmas’s analytical and systematic methods and Jonathan’s creativity and vision, they both make up a genius team of brewing excellence. Now they are both looking to carry their adventures, experience, knowledge, and talents to the brewing field and start what they have been working toward for years. This is the start of their destiny and chance to show the world why they are and will be the best at what they do!